In 2012, I left everything behind and embarked upon ‘a pointless journey’ hitchhiking through Europe. I had no plans, except life. When I shared my idea with others, I was told that I was crazy and at the very least, I would be robbed and abducted. I travelled nearly 23,000 km (over 14,000 miles) across 24 countries without getting abducted, molested, or robbed. Not even once. The video is essentially 1006 photos I took of my own face. Apologies for that. Bigger apologies to all the people I ever slated for taking pictures of themselves. I have outdone you in the worst possible way. And yes, the French flag is the wrong way round. It was the only time I used a mirror to apply face paint and my plan back-fired. I wrote a book about this adventure. 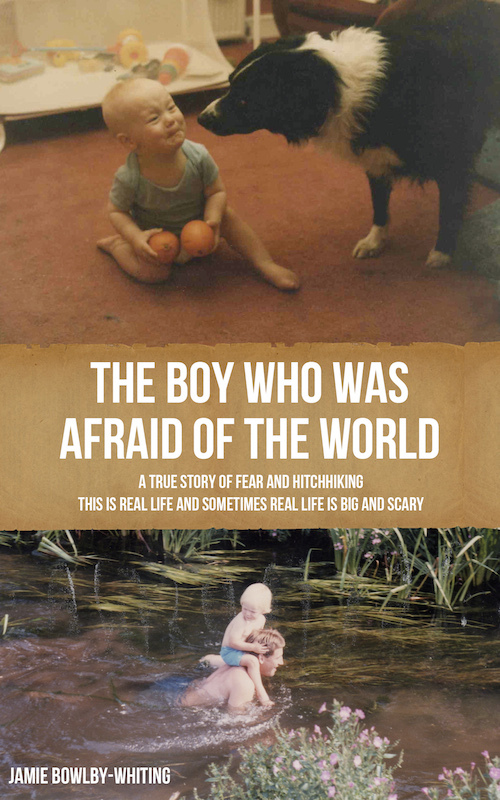 It is called The Boy Who Was Afraid of the World. It is the true story of one individual (me) who chose to walk away from a childhood of crippling anxiety and a comfortable life in order to trust in the goodness of strangers by hitchhiking across Europe. It is not an epic adventure. It is not a story about defeating fear. It’s more of a roller-coaster. It is real life and sometimes real life is big and scary. If you would like to read it, please click here. You might also want to read more about this journey here and if you want your own adventure, you should definitely download The Avant-Garde Life because it is absolutely free and is intended to give you some inspiration to start following your own dreams today.